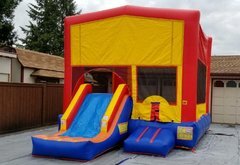 This Big Bounce House Combo is perfect for all ages. We can easily accommodate your party theme needs with our interchangeable art panel themes! This Inflatable Combo bouncer and slide will be fun for all your guests. Add some bubble machines rentals to make your party even more fun! 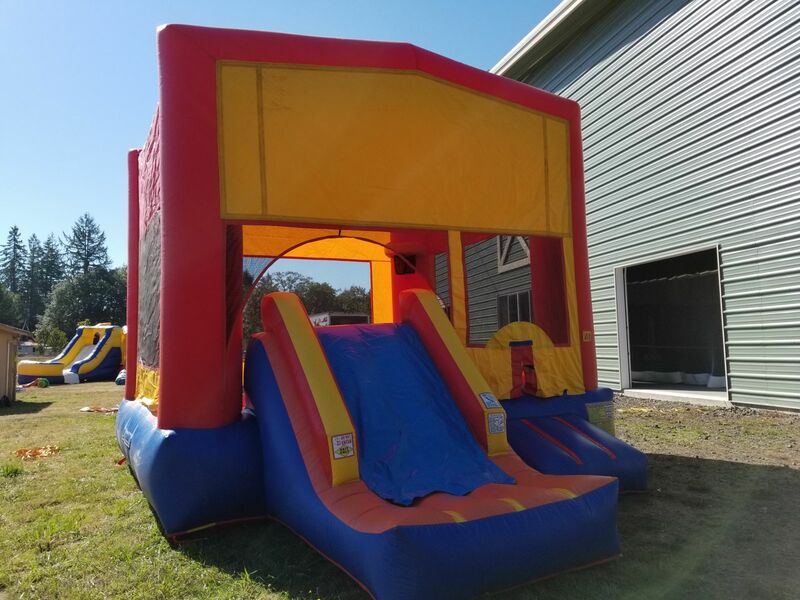 Whether you have young or older guests, this big bounce house is perfect for your event andwe can easily accommodate your needs with our interchangeable themes! Fun for all, even the tomboys with climbing, jumping, slide, and basketball hoop!